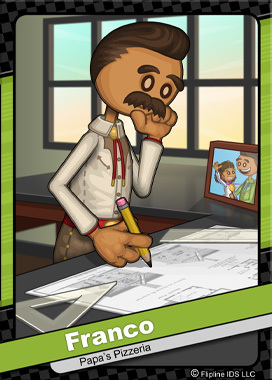 Franco grew up in Toastwood and studied Architecture at Torta Tech University. After college, he moved to Burgerburgh where he was hired by a firm to design tract homes for the fast growing suburb. There, he met his wife, Fernanda and the two soon had a daughter named Lisa. After 20 years and many promotions, Franco decided to leave his Senior Manager position. Soon after, he started his own architect firm in his hometown of Toastwood called Fernaco Architecture.